Plug-and-play accessories, bendable frames, built-in tents and totally unexpected redesigns transform the classic century-old bicycle design for the modern era. 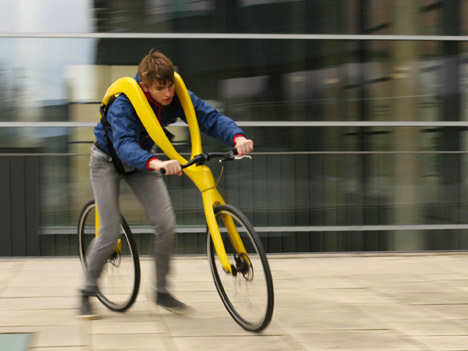 These 12 clever and sometimes weird cycling innovations range from simple flat-pack construction that can be assembled with a single allen wrench to bikes that incorporate a range of the latest gadgetry. 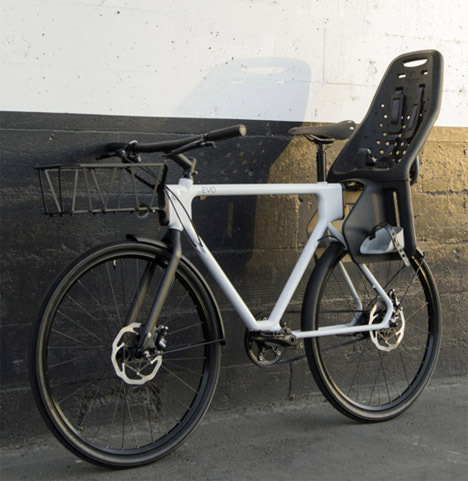 Billed ‘the ultimate urban utility bike,’ the EVO by HUGE Design features quick-connect mounts on both the front and back for attaching a range of accessories including child seats and a variety of racks. 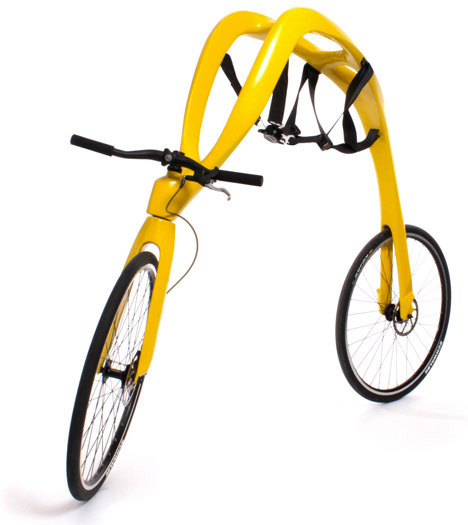 Inspired by San Francisco’s famous towers and bridges, the symmetrical frame was designed to support cargo loads on both ends. 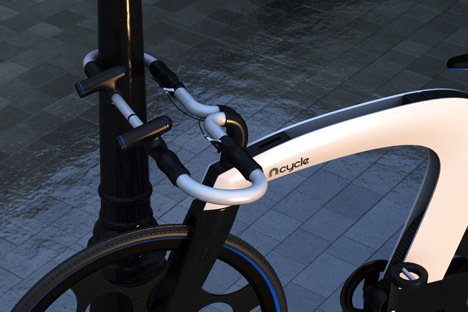 The designer of the nCycle questions whether it makes sense to simply add electrical components to a design that’s over a century old, choosing instead to completely re-invent the bike for this new purpose. Gone are the ‘odd mix of tubes and wires,’ replaced by a pair of side panels that conceal a battery, storage compartment and optional folding mechanism. 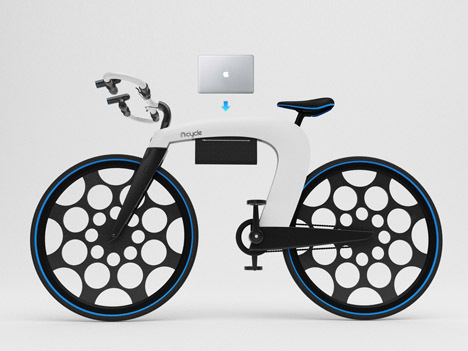 It’s got a built-in lock, lights and a sound system, and a holographic display on the handlebars linked to a smartphone. 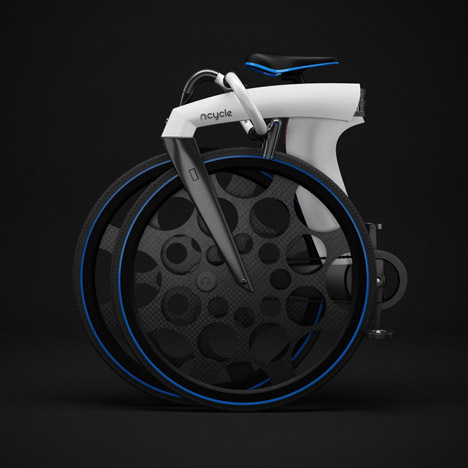 This isn’t exactly the sort of bike you can ride around on – the FLIZ is basically a means to propel yourself faster than you could ever run otherwise. The rider clips into a 5-point harness and gets a running start, the belt replacing the saddle. 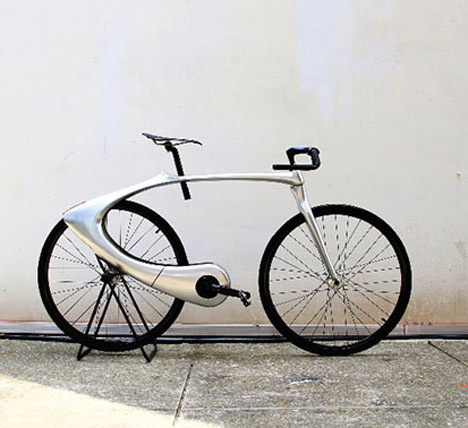 This fixed-gear bike design is anything but the same old conventional style, with an ultra-streamlined design inspired by liquid metal. 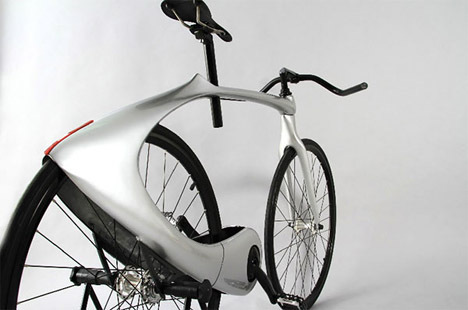 It’s made of super lightweight materials to make it an extra-zippy ride.